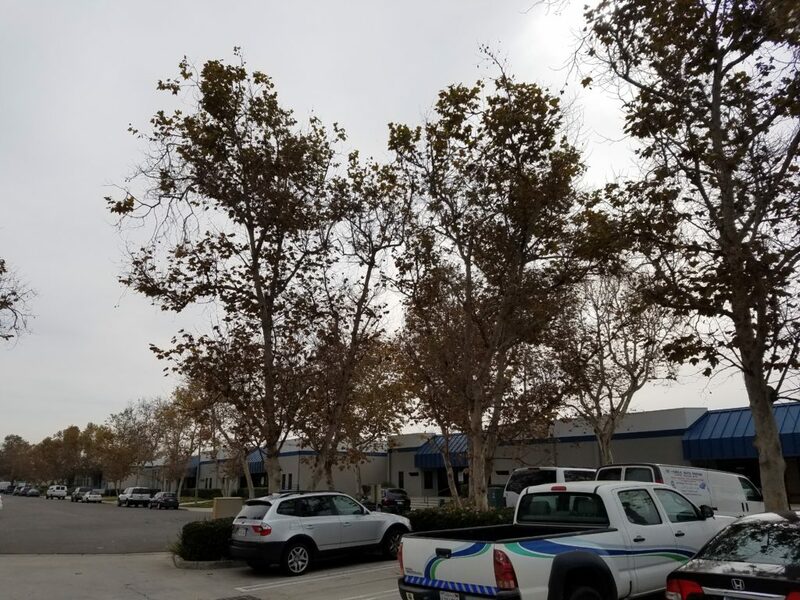 Earlier this month, we were contracted to perform tree trimming on 87 large American Sycamore Trees throughout a business park in Chula Vista, CA. Since their last trimming, the trees had grown full and heavy, putting pressure on the branches ad increasing the risk of breakage. The trees ranged from 30-50′ tall, and all of the trees were located near and around buildings, parking lots and parked cars. This required a high level of care, attention and precision to ensure no structures or vehicles were damaged during the tree trimming. 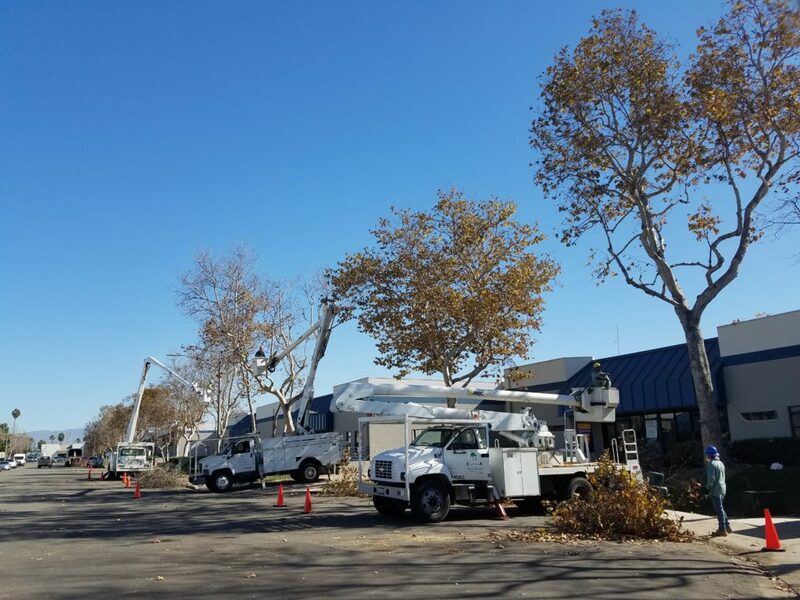 We utilized 2 of our tree service crews for this project, including technicians performing trimming from the ground and technicians in bucket trucks. We utilized 3 of our bucket trucks for the tree trimming. 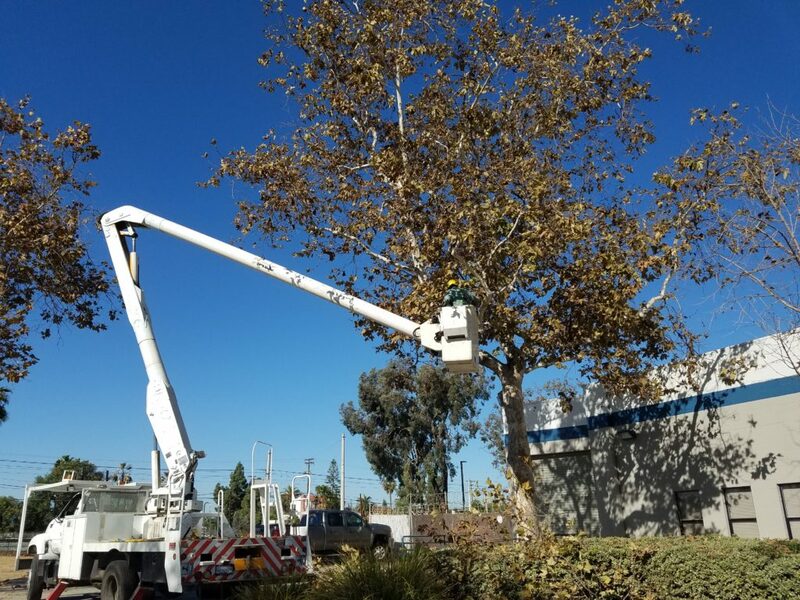 Utilizing a bucket truck allows our technicians to perform the tree trimming without having to climb the tree, which gives them access the entire canopy much more quickly and safely. 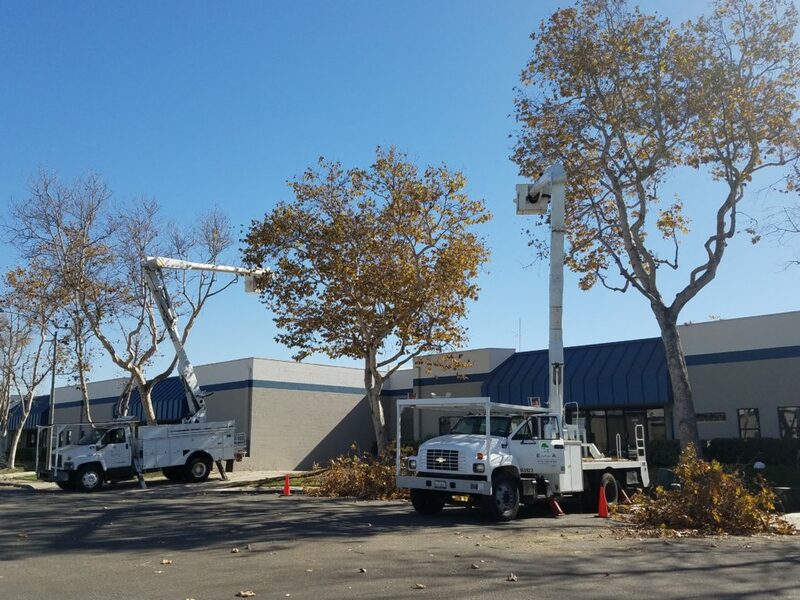 Three of our bucket trucks were used to perform this tree trimming in Chula Vista, Ca. 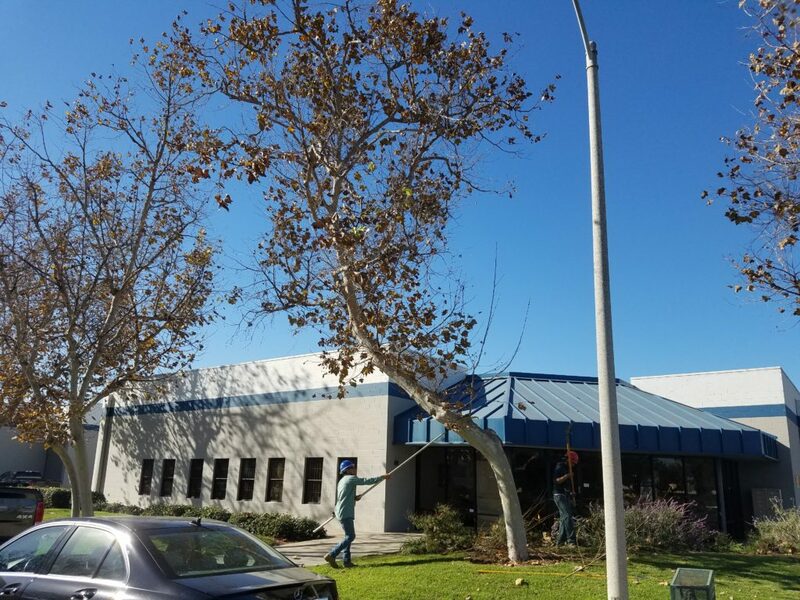 Once completed, the trees looked great and were much safer for the employees and patrons of these Chula Vista businesses. Are you in need of tree service? Contact us today to receive a free consultation and estimate.